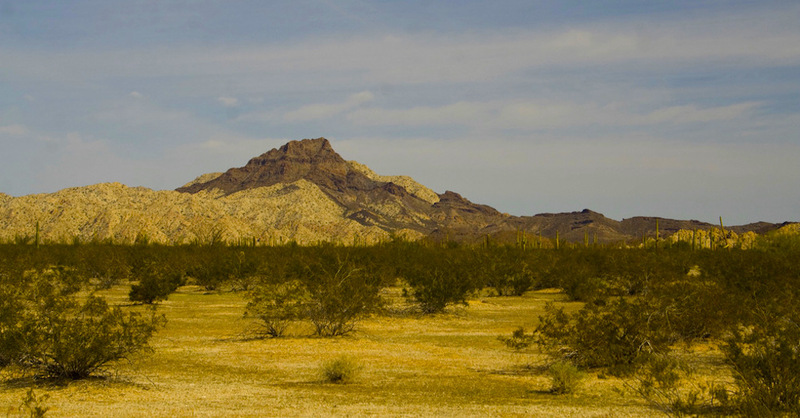 “Arizona’s border with Mexico is approximately 370 miles long and includes some of the most rugged and romantic landscapes in all of America’s southwest.” – USBorderPatrol.com. Indeed. 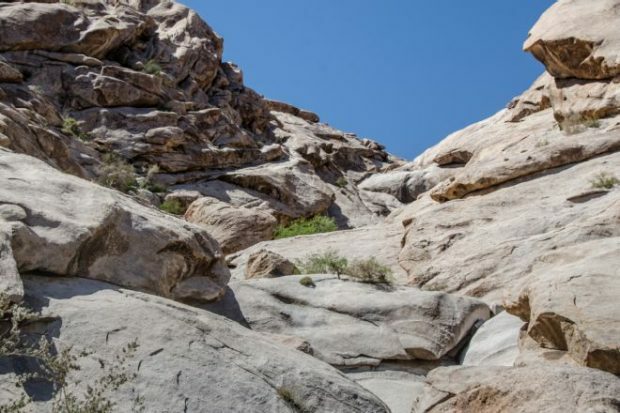 And for this reason – up until several years ago, anyway – we intrepid explorers and campers would obtain the necessary permits, pack the mandatory 4-wheel drive vehicles, bring extra water, and head for the deep desert where no man has gone (very often) before. Once, we traversed the entire length of El Camino del Diablo – the Devil’s Highway – from Ajo to Yuma, just north of the border. We didn’t see anyone for a week. It’s an adventure in a caravan of vehicles; it’s remarkable that people could ever cross it on foot. Many of the early Mexican pioneers did not make it – their shallow rock-covered graves have long-since been moved to a final resting place in Yuma. 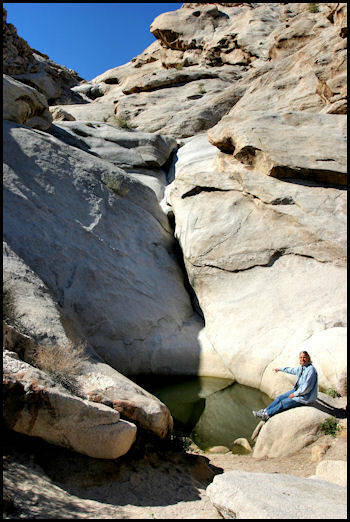 Other times we’d camp out for a few days at Christmas Pass, which the 4WD could barely pass; in the makeshift cabin at Tule Well; or at Tinajas Altas, a rocky mountainous outcrop, where the only water for a hundred miles collects in algae-lined basins. There, the mountain goats descend for a drink in the evenings; watch your step – it’s steep! Otherwise, there are only a few animals; juniper, saguaro, Joshua tree; and the quiet majesty of the desert for company. Only travel on the roads and established trails to avoid scarring the otherwise pristine desert. There are some areas with a crust of soil that if you were to walk on it, you’d sink a foot into the ground – your grandkids would be able to trace your steps. Leave what you find – rocks, historical objects, grave sites; ordinance – the Air Force does live-fire drills sometimes out there, so it’s a good idea to not be somewhere unexpected. Respect wildlife, be careful with fire; pack out what you pack in – these are the things we mindful and law-abiding citizens do to preserve the health and welfare of the desert, for ourselves and our posterity. But over the years, things changed. With modern communications and modern mobility came illegal border-crossers of a different sort. Years ago, Mexicans would travel up into the Central Valley on foot for work. Nowadays, many are human traffickers, drug smugglers, and illegals not only from Mexico but from any and every other country on Earth. 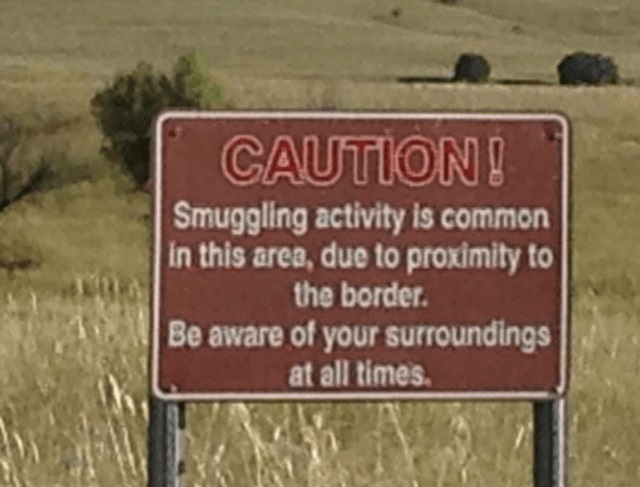 Okay, I can take a hint – stay away from the border. Over the last ten years or so it has gone from National Park to the Wild West. While we would travel only on established trails, illegals crossing at night would travel anywhere they want, especially off the established trails; and with the Border Patrol chasing after them in vehicles across the desert. While we would pack it in and pack it out, illegals leave anything anywhere they have to. It’s an environmental nightmare. Fortunately, I never actually stumbled across a dead body, nor did any of us become one; but the possibility of being car-jacked and left for dead was finally enough to put an end to our excursions there. So, while I don’t like the idea of having to put a highway and a wall across the border, I think it is necessary. Here’s the thing – the Arizona border is about 370 linear miles. But the Arizona border AREA – all the area south of Interstate 8 and Interstate 10 through which the illegals traverse – is about 30,000 square miles. That’s 30,000 square miles of America, folks; the Border Patrol cannot possibly control that much area – it’s an impossible task. If there was a border wall and border highway, the Border Patrol could spend most of its time patrolling the border – what a concept. With a physical barrier wall, vehicular patrol, motion detectors and electronic surveillance the Border Patrol could control most of the border; and do it much more safely and effectively. Skirmishes – the sort of thing that killed Brian Terry – would be a thing of the past. I think it’s time to bite the bullet and get this done. While it is true that systems like E-Verify make border control less of a factor for otherwise law-abiding illegal aliens, internal law enforcement comes and goes, depending upon administration; and it does not apply to criminals. The wall would apply to everyone equally; it would protect people on both sides, as well as the land on both sides. Border control IS one of the Federal government’s constitutional responsibilities. If only it would stick to such things, the rest of us wouldn’t have to keep looking over our shoulder. This is a probably a foolish expectation – it is so much easier for politicians to simply dismiss these concerns as impractical, unnecessary, misguided, or even racist. So, I probably will never get the wall, will never again set foot on the rocks at Tinajas Altas, and will never again set eyes on one of the beautiful desert sunsets. Nor will my children. Alas. I suppose I could always show them pictures of these places on the Internet instead. It’s still safe to go there, right?